I believe that today is the first time since Gutenberg that a lone person can produce a quality book. I actually think Gutenberg probably had help with the type and also actually putting ink on paper. In my case today, someone else does the actual printing, but you get the idea. I formed Gem Book Publishers in 1991 and published my first book, Rubies & Sapphires, in 1992. At that time I had just completed 30 years of photographing and writing articles for National Geographic Magazine and about 40 years of freelance photography for all the major magazines in the world.So, I knew a lot about photography and writing, a bit about layout, and almost nothing about book production. the realization that I might be able to do the job better than others could do it for me. the financial reality that hiring all the tasks was just about assuring me of an inadequate profit, and thus failure. scanning (and in the early 90s producing 4-color film). This came together one task at a time. So my first gem book was done traditionally with my buying scans and proofing and parts of other services. With each new book (and they started coming along one or two a year) I assumed more of the tasks. Because of the previous 14 years of work on my gemstone series for National Geographic, I had much of the needed raw material in hand for text and I owned the huge inventory of color photographs from all over the world. With the first four books, I did include some additional research and photography beside what I had done for NGS. Text and photographs were not a problem for me, and they are usually killers for publishers who do not have such access to existing publishable material. Text editing was also not a problem because my wife, Charlotte, has a master's degree in English from Georgetown and is a superb editor who freelances for a number of writers, organizations, and the US government. Layout was an area where I had some background as I had worked with a variety of Geographic's layout personnel for 3 decades, and I thought in time I could produce an attractive design for my books. I took a long time with the first book and then have maintained most of the same basic book design throughout the series of nine books. Each page is different in every book, but the overall look and feel remain the same for consistency. Photography was no problem at all because that's what I have always done professionally. Scanning photographs turned out to be a nagging and very expensive task to master. I began by paying $15,000-17,000 for color drum scans and 4-color film for each book. This was very difficult to justify for books retailing for US$14.95. All the early books were professionally scanned in Maryland where I live or in Miami where I was having the books printed then, and the scans were dreadful. This became my first task to master. I had been using Photoshop since the 80s when I was writing and photographing a computer graphics article for NGS and discovered a college student in Michigan writing a black and white program that would fit on one small floppy disk. I brought that information to Adobe and introduced the company to the student after I had tried and liked what Photoshop did. And the rest is history. Photoshop made Adobe a fortune and the world soon had the premier picture-editing tool that completely dominates the field. So I was comfortable with editing and manipulating photographs, but the scans were still a big issue. The going rates were $35 or $40 for small scans and $75 for a full page in my 6x9 inch size. Obviously this was a huge expense for me. Next I tried Kodak's new Photo CDs, a system for starting with slides or color negatives and scanning them onto CDs. It was a nice step forward, but the quality still was not there. That system initially cost about $4 a slide and got down over a few years to 50 cents a scan in volume. The quality, however, was not as good as the expensive drum scans. I then bought the first available Nikon slide scanner. It was about as good as the Photo CDs, but not as good as drum scans. However, I could get fairly good results with small scans and found the convenience of doing my own scans to be irresistible. Soon I bought a newer Nikon slide scanner and it was better, but not good enough.Then Nikon introduced the Super Coolscan 4000 slide scanner for desktop use and it was better than the drum scans I had been buying. Now I do all my own scans. I like the control and get terrific results. An Epson 1680 Expression flat bed scanner handles any 2 1/4 inch, 4x5, and 8x10 inch scans beautifully. Now I can do all sizes at any time of day or night without extra cost. This is for slides and color negatives from my files. But more and more I am using digital cameras.Their digital output is quite good to excellent and I am using more and more digital images in each of my new books. The cover of my Gem Care book is a digital picture as are many inside photographs in my new Diamonds and new Rubies & Saphires editions. No one can tell which is from film and which is digital. If a publisher is going to do his own color work, he will have to learn how to color correct the scans or have someone else do it. No color picture is ever just right for reproduction as it comes from the camera, digital file, or scanner. They all need tweaking and spotting (if they're from film). Bite the bullet. Buy a color management system, which usually comes with a monitor sensor (often called a Spyder or something similar) that reads your monitor's colors and lets you adjust for accuracy. If you've ever concentrated on the lousy TV colors in hotel or motel rooms you'll recognize just how far off monitors can be. Unless you calibrate your monitor, you will never get consistent accurate color. A printing firm has to have accurate proofs to print your book properly. Either you or someone else has to make those proofs. You can save hundreds to thousands of dollars by learning to do it. If you won't or can't, then buy the best proofs you can afford and look at them carefully. Re-do the ones that are not perfect and deliver quality proofs to your printer. Otherwise you can never expect to get quality books. Same ole story. Either learn to do it and spend the time, or hire someone and pay for it. If you have a niche-market book that will basically sell itself (And they exist.) you might get away with email announcements, postcards, and word of mouth. If not, plan to spend a bundle buying promotion. Try to get on your local TV and in your local newspapers. That's free. No self-publisher can afford national advertising for a new book. If you have a run-away natural best seller, then you can buy promotion in time. But to begin, plan on contacting all the places you know that might promote your book free. This is a nagging and never-ending problem. I would not go into debt to pay for the first book. More than 95% of first books fail, so be sensible. Don't go broke for vanity. Buy what you think you can sell, try to promote and sell every day, and be realistic with your book's chance of success. If a "vanity" book helps you in another part of your life or business, then that's an additional reason to print it. Have your game plan in place before you place your print order. The economy of book printing doesn't kick in until 5000 to 7500 books. At 10,000 you should get quite a reasonable quote per book. But if you buy 500-1000 you will be paying several times what your book is worth. You need to buy your books (your total cost of printing including every item above) for 1/5 to 1/8 your retail selling price. If you don't, you can't succeed and give stores and distributors the discounts they require. So, if all your costs (and that means all your costs) add up to $5 per book to get your product in boxes and out the door, then you have to retail that book for $25-40 in order to give your proper discounts and make a profit for yourself. If your book doesn't look as if it can sell for $25-40, then your costs were too high and you cannot make it as a publisher with that book. Be realistic. A good ole basic reality check at the beginning will save you a ton of grief down the road. ©2003 Fred Ward Used by permission. 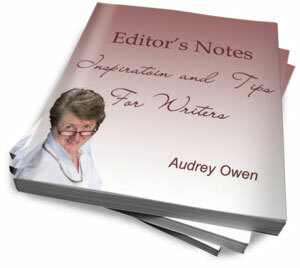 Audrey's comments: Fred Ward produces outstanding books! I was given a copy of Jade while doing research on the topic. I have since asked him if I could review it on my site and he generously responded with this story of his publishing journey and the copy of his sample pages.He is unusual in that he became an expert in all aspects of publishing. I'm glad that he referenced the editorial work of his wife. Even as a widely published author, he used an editor. I would be honoured if you decided to consider my editing services. You can begin with a sample edit. Even a modern Gutenberg needs assistance. 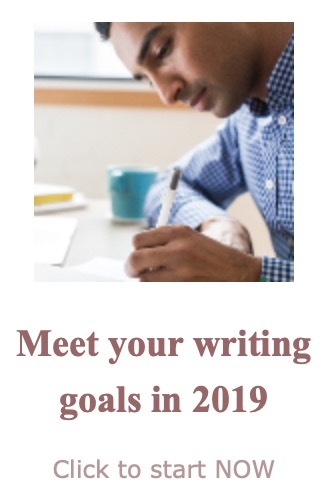 The home page on this site can guide you to a range of help writers need.